Council bosses have seen an increase in the number of people with substance abuse and mental health issues seeking housing help in the past year. 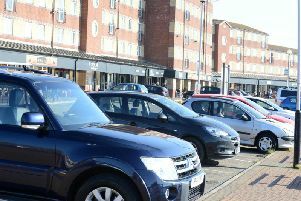 Hartlepool Borough Council’s regeneration services committee is to discuss an update on the number of people using its housing advice service. It comes after nationally The Homelessness Reduction Act 2018 was introduced in April last year placing new duties on local authorities to help prevent the homelessness of all families and single people, regardless of priority need. Since then the council has provided advice and assistance to 624 households helping to resolve their housing problems. This includes supporting them to remain in their existing home or assisting them to access alternative suitable accommodation. A report from Lynda Igoe, principal housing advice officer, said the council has seen people with a variety of different issues seeking housing support such as those those with substance abuse and mental health problems. It said: “We have seen an increase in the complexity of cases that are presenting to the service or being referred by statutory agencies. “Substance misuse and mental health issues are increasingly proving to be a significant proportion of customers. The Homelessness Reduction Act 2018 extends the duties of the council to provide housing advice and homeless prevention advice. It specifically states the service must be designed to meet the needs of people released from prison, care leavers, people leaving hospital, mental illness sufferers and any other group identified as particularly at risk of homelessness. The new initial duty gives the council a 56-day window in order to resolve the applicant’s homelessness. Council bosses said since the new act was brought in the number of customers has remained consistent. However they noted there has been an increase in the length of time to speak to customers, with initial interviews generally lasting between 90 minutes and two hours. They also said are they are in discussions with its IT provider to develop a customer portal which will include the ability for customers to interact online and save time.